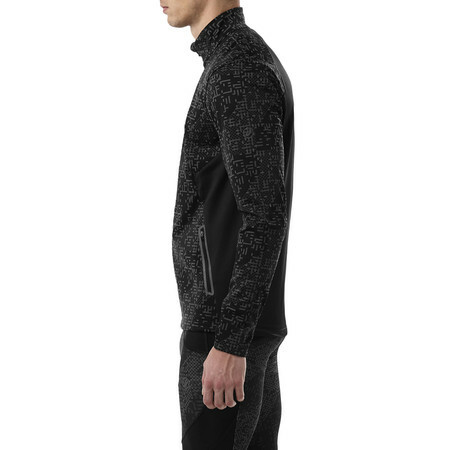 This Asics lite-show running jacket is ideal for the dark winter days. 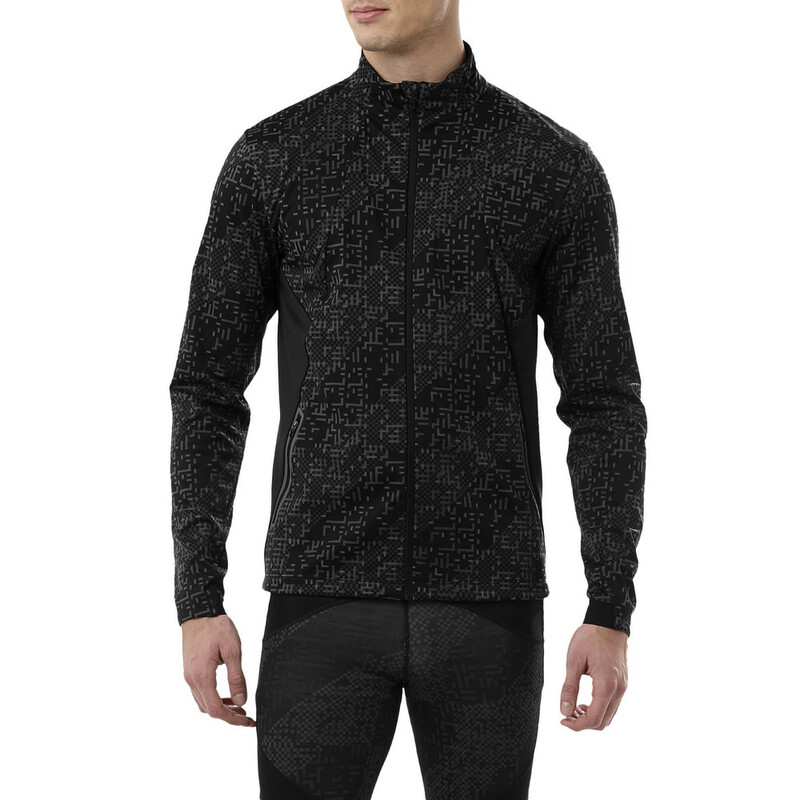 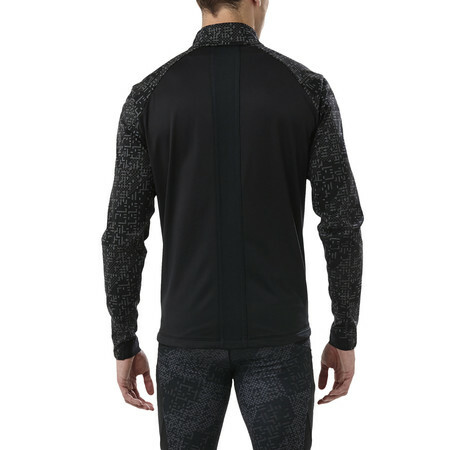 Featuring an all over reflective print that comes alive when light shines on it ensuring 360° visibility in low light conditions and by day, it's a high-performance, windproof jacket. 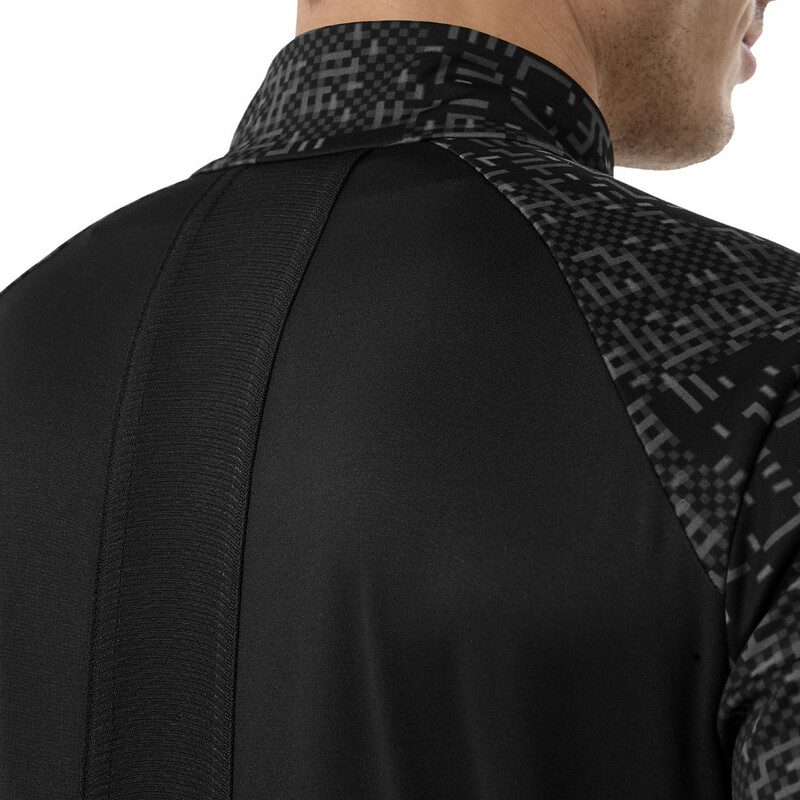 The two secure side pockets ensures you can store all your valuables. 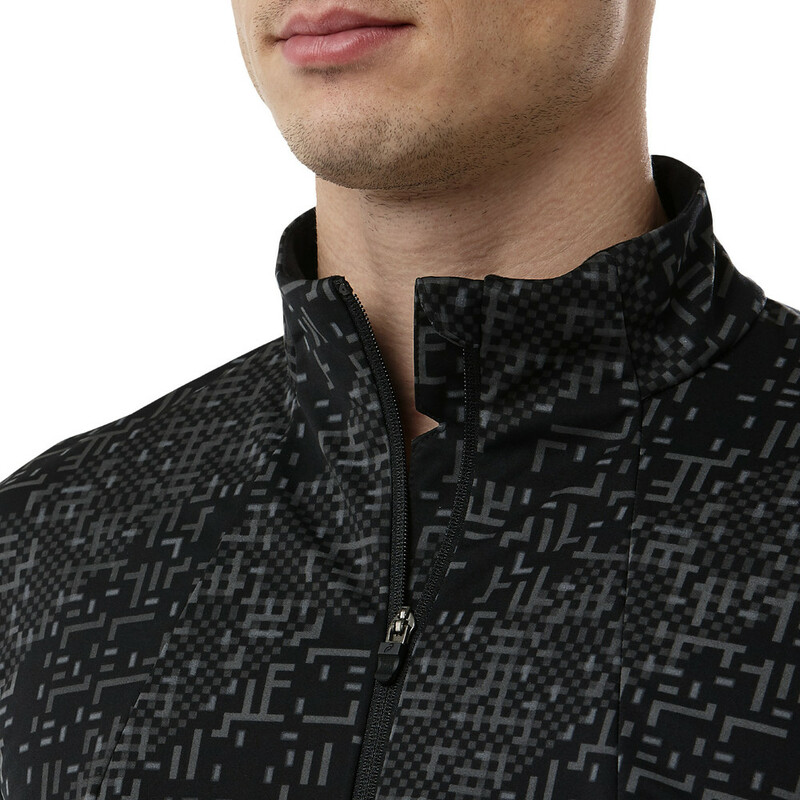 The fleece-lined collar will keep you warm zipped all the way up and the ergonomically shaped cuff keeps the wind out.